These are a set of useful Delphi snippets to handle the Windows Firewall using the Advanced Security scripting. Note : Some of the below samples requires elevation. //This code adds a LAN rule using the Microsoft Windows Firewall APIs. // Create the FwPolicy2 object. //This code that adds a per interface rule using the Microsoft Windows Firewall APIs. //using the Microsoft Windows Firewall APIs. //This code adds an application rule with Edge Traversal using the Microsoft Windows Firewall APIs. //This code adds a service rule in the local public store using the Microsoft Windows Firewall APIs. //This code adds an ICMP rule using the Microsoft Windows Firewall APIs. // This code adds an application rule using the Microsoft Windows Firewall APIs. //This code adds an outbound rule using the Microsoft Windows Firewall APIs. //This code checks if the rule group is enabled in the current profile using the Microsoft Windows Firewall APIs. //This code disables the firewall on a per interface basis using the Microsoft Windows Firewall APIs. //This code enables the Windows Firewall rule groups using the Microsoft Windows Firewall APIs. 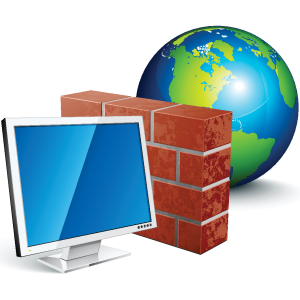 //This code enumerates Windows Firewall rules using the Microsoft Windows Firewall APIs. //This code restricts a service using the Microsoft Windows Firewall APIs. // Get the Service Restriction object for the local firewall policy. //This code reads the Windows Firewall settings per profile using the Microsoft Windows Firewall APIs. //This code that disables the firewall using the Microsoft Windows Firewall APIs. Categories: Delphi | Tags: Delphi, Firewall | Permalink. Really interesting post Rodrigo – thanks for sharing this. This is very interesting post. It compiles with Delphi5 also ! I think you can make it into a EXE. Will it be like a mini version of Zonealaram ? Thanks. ZoneAlaram is a full security solution (antivirus+firewall) and this code is only to interact with the Windows Firewall. This is really interresting but how can we “remove” any of these rules ? You must use the INetFwRules::Remove method.